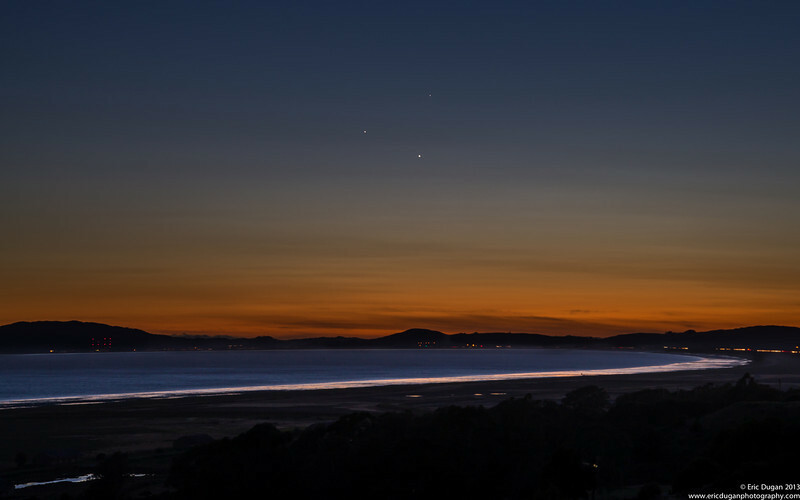 Jupiter, Venus and Mercury over San Pablo Bay. Per NASA this event know as the "triple conjunction" will be the closest grouping of planets until 2013. This should also be viewable Monday evening 5-27-13 at dusk after sunset in the sky above where the sunset occured.